This song doesn't really convey any specific feelings about the past week. It's just one of my favorite songs from The National and with autumn pretty much here it fits the weather. Fall is always kind of a melancholic pretty. I know I talked before about music feeling seasonal and this summer I picked lots of upbeat songs. Fall always feels like time for The National and The Decemberists and maybe Fleet Foxes. Does anyone else notice their musical tastes changing with the seasons? 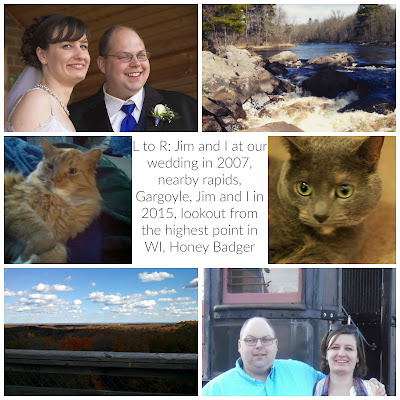 Anyhow, two weeks from now I'll be back in Michigan's Upper Peninsula. The fall colors are supposed to be prime at that time and I can't wait. That's about all I'm really looking forward to at this time. 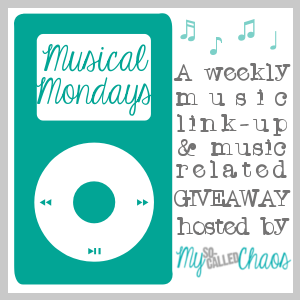 Be sure to check out Musical Monday at My So Called Chaos and see what everyone else is listening to this week. And don't be afraid to link up with us! Yes! My musical tastes change with the seasons! Some songs are meant to be for the summer, with their upbeat sounds. And some songs just evoke coziness. I tend to listen to more lowkey, cozy songs in the fall. Something I wouldn't mind having a cup of cocoa with. Great song choice for the weather change! Music to drink cocoa with perfectly describes my autumn music tastes too! My musical tastes tend to vary with the seasons , but not super drastically!